Get $15 off any plan each week for 4 weeks! Are you ready for another great meal kit comparison? 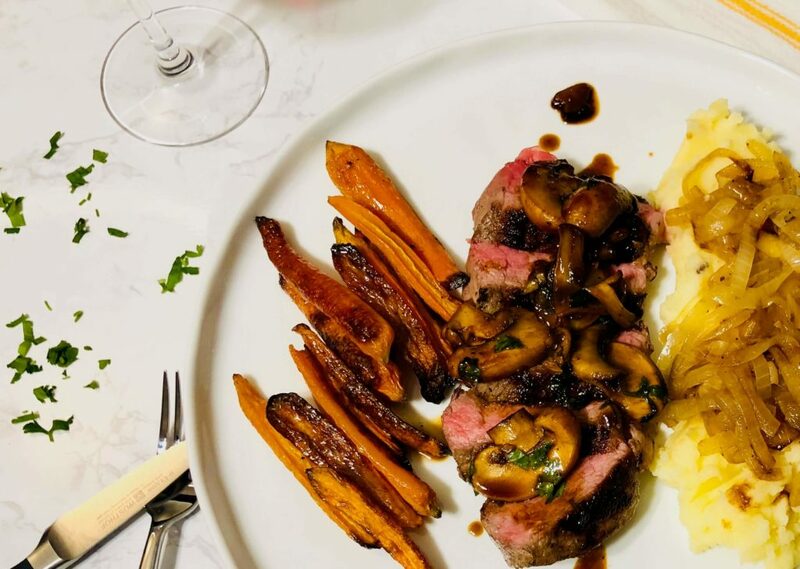 We love providing these meal kits comparisons as we know that choosing the best meal kit or prepared meal provider can be an overwhelming process. We hope by breaking down what the companies offer, that this decision will be made easier for you. Today we are looking at Freshly and Hello Fresh. Freshly is relatively new to the market and specializes in delivering fully-prepared non-frozen gluten-free meal options to your door. Hello Fresh is one of the largest companies that specializes in the delivery of meal kits and has been operating in the States now for many years. There are quite a few differences between the two companies, so we can’t wait to get started! Hello Fresh currently delivers across the continental US. Unfortunately, they don’t deliver yet to Hawaii or Alaska, but stay tuned for any updates! At this stage, Freshly currently deliver to all states within the continental U.S. note that there are some ZIP codes that the Freshly delivery partners aren’t able to reach within their 48-hour delivery period. When using Hello Fresh you have the choice of 3 different plans. The Classic Plan is suitable for two or four people and provides 3 to 4 dishes weekly. The Family Plan is for four people and provides 2 to 3 dishes weekly. The Veggie Plan is suitable for two or four people and has a choice of 3 recipes per week. Freshly gives its customers 4 different plan choices that are based on the number of meals you would like to order on a weekly basis. You can choose a plan with either 4, 6, 9 or 12 single serving meals per week. With both companies you have the flexibility to change plans from week to week, as needed. Both Hello Fresh and Freshly offer very diverse menus with a great deal of choice when it comes to flavor influences, style of cooking and ingredients used. Hello Fresh has a selection of over 16 recipes per week that are divided (and sometimes overlap) between their plans. There are 16 delicious dishes in the Classic Plan, 6 dishes in the Family Plan and 3 in the Veggie Plan. The weekly changing menu selection from Freshly includes more than 30 dishes that includes both entrée and breakfast dishes. We make sure that we try meals and meal kits from all the companies that we review. We have tried many items from both the Hello Fresh and Freshly menu. 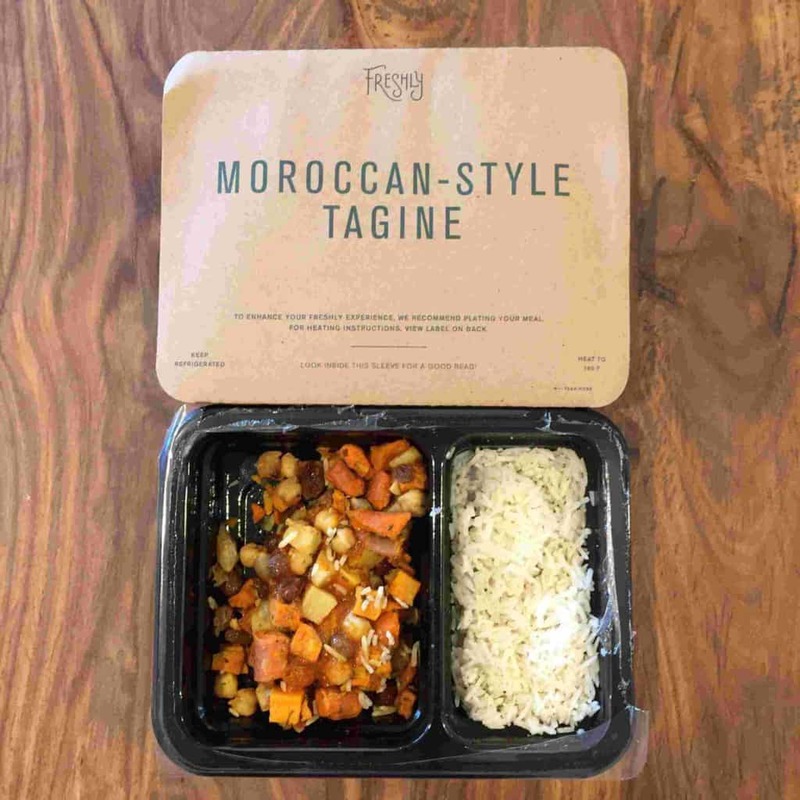 With their meal kits, Hello Fresh appears to be more focused on giving customers options that are both classic and interesting to the mouth. the Hello Fresh meals include many fresh vegetables, and They usually offer some lovely twists in all their recipes. each dish contains unexpected ingredients or flavor combinations. Hello Fresh is also designed to be very family friendly. As a fully-prepared, non-frozen meal service, Freshly is all about convenience and time saving. Their meals takes 5 minutes to heat. Overall, we enjoyed most of the Freshly meals, but we did experience some meals that weren’t to our taste. As a company, Hello Fresh is very focussed on helping their customers to consume more plant-based products in their daily diet. The fruit and vegetables are not always organic, as this is simply not a priority, but they are always of the highest standard. All their meals are primarily sourced domestically, and their poultry is always antibiotic and hormone free. Seafood is always sustainably sourced, and their pork is hormone free. Freshly is very proud of their certified gluten-free status; you can rest assured that none of their ingredients contain any gluten whatsoever. They also make it a priority that their ingredients are 100% natural and have no preservatives, refined sugars or hydrogenated oils. Receiving your Freshly or Hello Fresh delivery is a breeze!!! Both companies are big believers in organization and convenience, and this is obvious when unpacking your order. 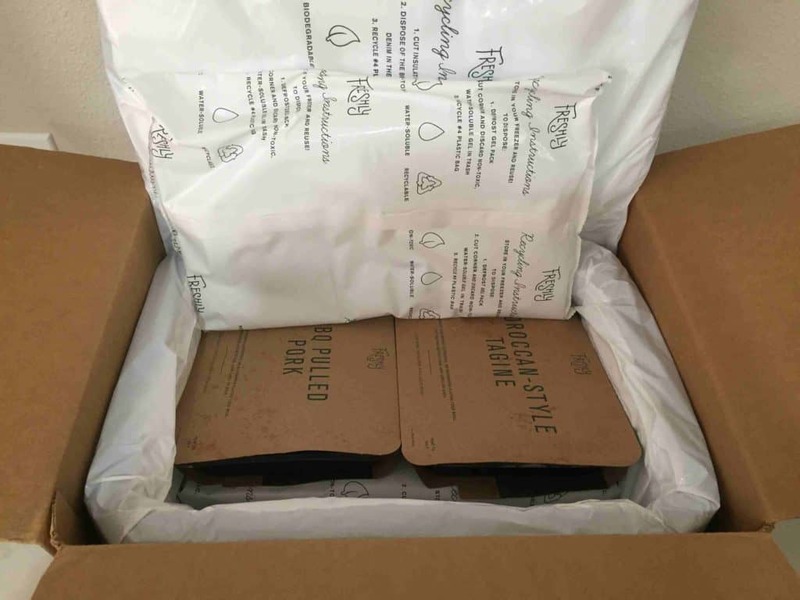 Both boxes have been specifically designed for food delivery and their contents are packed with enough ice to keep everything at the correct temperature. All contents whether it be the well sorted Hello Fresh meal kits or the fully-prepared meals from Freshly are well organised and beautifully packed. It is simply a matter of unpacking your order and storing where appropriate until you are ready to use them. My Daughter and Hello Fresh box- She LOVES it! Both companies provide easy to use websites, Hello Fresh also includes an app., that make the whole ordering process so easy to complete. You can register online, manage your account, specify your dietary preferences, select your plans and choose your menu options. You can also cancel your account online and it is good to see that this can be accomplished easily and without complications. We enjoyed our meal experiences with both Hello Fresh and Freshly. Both companies provide a service that is all about enjoyable dining experiences that are also highly convenient. The winner in our comparison today is Hello Fresh. Even though there is cooking required as it is a meal kit service, we found their options to be more delicious and satisfying. Their meal kits were filled with incredible flavors and fresh ingredients of the highest quality. Everything with Hello Fresh just tasted very good! Recipes are Yummy! Best classic home cooking!